The fan of EZ Horse Betting has many options to choose from when it comes to betting at an online racebook. There are claiming races each day at smaller tracks, and allowance races on the mid-level circuits. The biggest events are called stakes races. These races are tougher to handicap, but they offer you a chance to cash a bigger winning ticket. What is a stakes race in horse racing? Read on to find out! A stakes race is often the featured race on a race card at any race track. These races are not held every day. They are usually reserved for special racing days. At a small track, there may only be one or two stakes races each meet. At famous tracks like Santa Anita and Saratoga, there can be a stakes race each week. Sometimes there will be as many as three or four stakes races on the same day. So, what makes a stakes race so special? First of all, stakes races feature the top race horses in the country. When you see one of these special events, you are watching horses of a very high caliber. Many of them have proven themselves by winning similar events at other tracks. These horses usually run faster than claiming horses or allowance horses. With so many talented horses one race, the event becomes very competitive. These races can be difficult to handicap because any one of the horses in the event could win. As a result, the odds are usually greater on horses in these races. The favorite may be 2-1 in some cases. It is not uncommon for a horse that is 3-1 or better to win the event. A stakes race is one that generally requires a nomination fee. A nomination fee is what the owner of a horse must pay for the privilege of competing in the race. These fees can be as little as $100. In the case of the Pegasus World Cup, the fee can be as high as $1 million. A portion of nomination fees goes toward the purse for the event. The track will usually put up added money to make the purse higher. How Does a Horse Enter a Stakes Race? Each race meeting at a race track is governed by what is known as a condition book. A condition book is a listing of all races that will be held during the meet. The book will list the conditions for entry. For example, the book might show that on May 1 a claiming race will be ran for fillies and mares that have not won two races during the current year. Any filly or mare that meets these conditions may be submitted for entry into the event. Once the races have been entered by horses on the track, a draw is conducted. The draw determines which ten or twelve horses will be allowed to compete. The number of horses allowed depends upon the racing surface and the number of available positions in the starting gate. Horses that are not drawn must wait for a similar race to be posted in the condition book, or trainers and owners can choose to enter a different event. Stakes races are entered in the same way, with one major difference. Only horses that have been nominated by their owners are permitted to enter. To be nominated means that the owner of the horse has paid the appropriate fee for entry. If a horse is not drawn into the race, the nomination fee is forfeit in many cases. 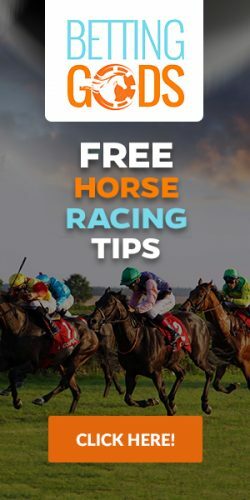 Horses that are nominated for the Triple Crown or Breeders’ Cup usually have their fees paid before the age of two and before they have ever ran a race. This means that the owner is taking a gamble on whether or not the horse will have the talent needed to compete in a stakes race. Sometimes they do, and often they do not. There are also stakes races at smaller tracks which are known as overnight stakes. These minor events pay much smaller purses than the biggest events, but they still feature the best horses on the track. Picking a winner of a stakes event can be challenging, even for the best handicapper. Any horse in the field is usually a contender to win the event. Many bettors rely heavily on speed ratings for picking horses in competitive racing. A good way to play these events is to focus on exotic wagers. These wagers allow you to pick more than one horse in a combination bet such as the trifecta and exacta. You can box these horses in combinations so that the precise order of finish is not required to win. For example, you can box three horses in a trifecta wager. As long as those horses finish in the top three, in any order, you win the bet. Many believe that observation of horses in the paddock is very important when it comes to stakes events. Some like to see how a horse is moving before they take the track. Bettors will also pay attention to whether or not a horse has added bandages or blinkers. One thing is for sure. The rewards can be very great when you pick out the winner. Stakes contests often attract more bettors. More bettors means that he betting pool is larger. When the betting pool increases, the payouts for bettors get bigger. Are you ready to watch and wager on these exciting races? Check out our recommended online racebooks. Signing up takes just a few minutes, and you’ll be given a nice welcome bonus when you create an account and make your first deposit.